No SignUp required, just simply click on the download link, and it will download automatically. Why NCERT Hindi Books are Important? The National Council of Education, Research and Training (NCERT) publishes its own textbooks which are often known as model textbooks as they are a compilation of regular research in all the science and technological field. NCERT is an organization formed by the Government of India in 1961 to set u programmes to improve the quality of the school education and to promote research and development in all the sectors of school education. NCERT books are always suggested as a reference book or a book which will solve all doubts, to every student above the 10th Class. The reason behind this is that NCERT books cover almost all the basic topics with easy solutions and concept explanations. These books are not only used for the curriculum syllabus, but they are also used as textbooks for CBSE syllabus and as good reference books for the preparation of Civil Services. NCERT books are written in a very simple language and have a very neutral perspective, therefore, giving a strong base for the preparation. NCERT books cover all the topics and events accurately, as these books have the data collected from relevant and in-depth research. The information is thus, well arranged and also is better to understand whereas there are many other reference books which have the data arranged haphazardly, thus confusing the student. It helps the student to plan his schedule as NCERT books need to be read-only. There is no need to make extra notes or refer other reference books for confirmation of the data. Also, there are a lot of problems which can be solved by the student if he has understood the topic. Having a lot of problems to solve will definitely help the student to evaluate himself, that is if he has understood the topic properly or not. The advantages of the NCERT book are the same as mentioned above but the main advantage of this book is for the children going to a school of CBSE board. The reasons are mentioned below. 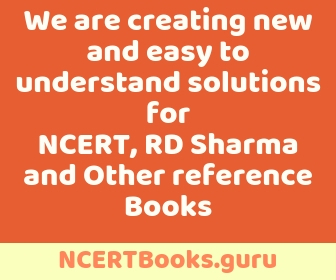 The NCERT books always follow the CBSE curriculum and syllabus, therefore they are often suggested to be used as a textbook for any student of CBSE board. The CBSE syllabus covers mainly all the topics of Indian History and Geography along with other relevant topics and therefore, very difficult to understand if the textbook does not contain proper information. The NCERT books have a very simple language which, therefore, can explain a difficult topic to the students in an easy and interesting manner (does not cause the students to feel bored about that topic). There are detailed diagrams in the textbooks wherever needed thus, making it a very good textbook for children. The topic covered has a very in-depth information which is explained in a short and simple manner. As explained above, there are a lot of problems for the students to solve and thus, allowing the student to evaluate himself, if, whether or not he has understood the topic or not.